How Saturday night’s debate displayed a party both at odds with reality and the popular will when it comes to terrorism. Saturday night’s Democratic presidential debate offered the country a moment of clarity that exposes just how brittle and discredited the worldview of America’s elites has become—and it showed that critiques of former Secretary of State Hillary Clinton’s approach to policy are an exposed nerve which will absolutely present a challenge to her in future debates next fall. Clinton continued, stumbling a bit, that she did not want to paint “with t0o broad a brush” and cited George W. Bush’s assertion that we are at war with “violent extremism” and “people who use their religion for purposes of power and oppression.” Sen. Bernie Sanders and former Gov. Martin O’Malley joined Clinton in rejecting the term “radical Islam,” citing much the same rationale. So why is it that all these years after the advent of radical Islamic terrorism, the Democratic presidential candidates are so lockstep in rejecting this term? Why is it that former Secretary Clinton cannot bring herself to admit that Barack Obama and his administration underestimated the threat of ISIS? Why do they accept the White House’s framing so far past the point where it is believable? Why can’t they grapple with the world as it is, as opposed to the way they wish it was? So give the Republicans this: They can hardly manage a coherent foreign-policy approach themselves, but at least they are aware of events and change their policies in reaction to them. They’ve seen the persistence and growth of Islamic terrorism over the years, they’ve seen the outcomes in Iraq and Afghanistan, and they’ve seen the disaster of the Arab Spring. They have responded by modifying their opinions on just who wishes to make war on us: not an extremist fringe, but a real and indeed somewhat popular strain of “radical Islam,” as Dickerson put it, with significant mass support in places like Paris. The Democratic Party is by contrast sclerotic and brittle. After seven years in executive power, they are wedded to the policy premises of the Obama White House, but unaffected by their empirical outcomes. Only 21 percent of Americans maintain that the fight against ISIS is going well—and yet all three of the Democratic candidates doggedly stick to that increasingly discredited view. The talking points of the remaining Democratic contenders ring hollow with the 72 percent who see the president’s claims of terrorist containment, just like his claims of foreign policy success against Vladimir Putin, as consistently at odds with the headlines. An American citizen of any political stripe with even a cursory awareness of world events can look at an orchestrated jihadi attack, one that included the systematic execution of French concertgoers, and understand that we are at war with radical Islam. A Democratic candidate for the presidency cannot. Or, at least, she cannot say that she shares that understanding. In order to fully comprehend the dynamic on stage at Saturday evening’s Democratic president debate, understand that every one of the aspirants on stage is wholly dependent upon an activist class that has spent most of the past year eradicating thoughtcrime and historical monuments in the summer, and then concocting moral crises to destroy academic institutions in the fall. If your political prospects rested upon not antagonizing this roiling mass of poorly educated but deeply fanatical cohorts of middle-class radical youths, what else can you do when posed a direct question like Dickerson’s challenge to call something by its right name? You can’t say the obvious thing that everyone knows: Speaking the truth is what gets elites dethroned these days. Instead, you profess allegiance to the lie. You do exactly what the country saw these candidates do onstage Saturday: you dodge, duck, dip, dive, and dodge. 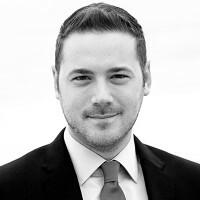 Ben Domenech is the publisher The Federalist and host of the Federalist Radio Hour.